Whether you fancy sushi whilst working late at the office or pizza for a family night in, you can now order pretty much any type of food online. But what if you want food from a top restaurant? Started by the co-founder of Mr &amp; Mrs Smith, <strong>The Cook &amp; The Thief</strong> has developed proprietary technology to serve this premium end of the burgeoning food delivery market. The technology is tested, the patent expected in April 2019 and 40 top London restaurants have already been lined up. Now The Cook & The Thief (the trading name of Leisure Brands Ltd) aims to raise £1 million under EIS to launch to market. Britain loves takeaways. Four in five Brits have bought takeaway food in the last three months. Over the past decade, the takeaway delivery market has grown into a burgeoning channel, worth over £8 billion in 2018, up 13% on 2017. Companies such as Deliveroo and Just Eat have capitalised on this growth opportunity and are now multi-billion-pound businesses. Yet, there is a gap in the market. It's pretty much impossible to get food from top restaurants delivered. The reason? The better chefs are not prepared to tip their dishes into plastic containers and have them bounce around on the back of a delivery scooter, only for the customer to receive a lukewarm, sloppy mess. Current delivery systems are simply not good enough. To address this and open up the high end of the food delivery market, serial successful entrepreneur Andrew Grahame has spent four years and £1.2 million (including £300k of his own money) to invent a whole new delivery process with the help of some of the country’s top chefs, innovative engineers and talented designers. The result is The Cook & The Thief (the trading name of Leisure Brands Limited). It has developed proprietary scooter-based technology that preserves the condition of delivered food and keeps it hot. Think of it as “a box within the box” on the back of a delivery scooter. It better isolates and protects the food from movements caused by the vehicle on the road (e.g. on acceleration, braking and speed bumps etc.). Moreover, the packaging contains proprietary heating technology which controls the temperature of the food and humidity, allowing crispy items to retain their crunch. The technology has been tested and approved by Michelin-starred chef Ollie Dabbous, with over 55 dishes tested from the kitchen of his former restaurant, Dabbous. A patent application in relation to the Company IP was published on the register of patents in December 2018, with the formal grant expected in April 2019. No other operator has equivalent technology. All this means The Cook & The Thief could help customers enjoy dishes from their favourite restaurants at their convenience, with no compromises on taste, texture or presentation. 40 top London restaurants, from Barrafina to Hakkasan, have already engaged with The Cook & The Thief. Now the Company is seeking to raise £1 million under EIS to fund staffing, marketing and packaging costs to launch its service, initially with a soft launch in summer 2019 followed by a live launch in autumn 2019. This is an opportunity for experienced investors to participate in a business with significant potential in a booming sector at a very early stage. This means risks are far greater, but so are the potential returns – the target is 9x before tax relief, not guaranteed. 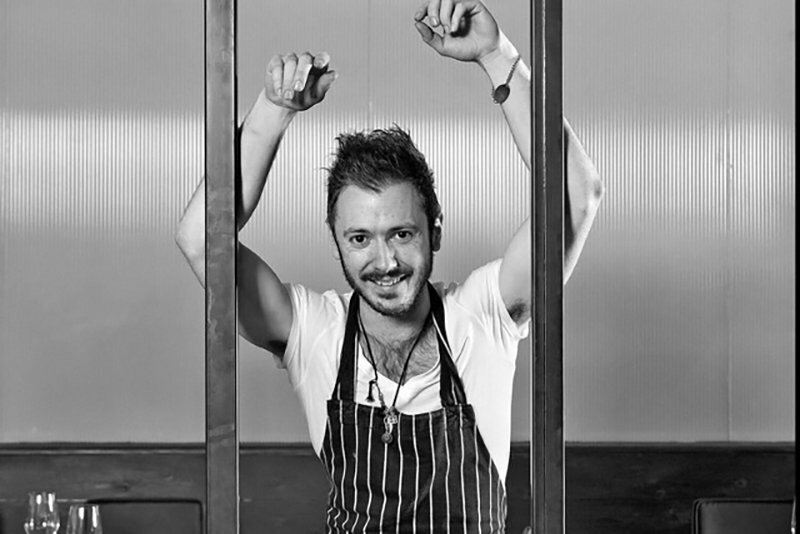 Ollie Dabbous, Head Chef of Michelin-starred Hide Restaurant, Mayfair, London. Andrew Grahame incorporated Leisure Brands Limited in 2012 and began work on The Cook & The Thief the following year. Andrew has a background in founding, growing and selling companies in the leisure and hospitality sectors. He is a serial entrepreneur having founded the Leisure Pass Group in 1998, an international company providing city tourist passes. The company was sold via MBO to its management team in 2012 for £35 million, backed by private equity house Primary Capital. 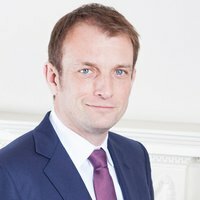 Andrew co-founded the luxury hotel business Mr & Mrs Smith in 2002, which recorded revenues of c. £12 million in 2017 and has grown its base to over 1 million members in 100 countries. The management is targeting returns to investors of 16x after five years – returns and timeframes are not guaranteed. This is based on the management case forecast and a multiple of 6x EBITDA. We have approached this more prudently and have used the sensitised figures. That said, if the sensitised plan is achieved, it could be possible to achieve an attractive return even when applying multiples to these figures. Using the sensitised forecasts, we consider an exit in year 5 could attract a multiple of 6x to 10x, although there are no guarantees. If the Company were to achieve its management case forecast, with EBITDA profitability of £9.3 million in year 5 and a good trading track record, we believe a higher multiple range might be applicable. The Cook & The Thief operates in a fast-growing industry, in which larger players have made several acquisitions in recent years. The exit options for a scaled online food delivery business are numerous, including a trade sale to a larger competitor. This market has also attracted interest from cash-rich technology giants, which may be more likely to acquire a competitor with unique and disruptive technology rather than spend time and effort to replicate this technology internally. However, exit options and timescales are not certain: this should be viewed as a long term and illiquid investment. Investors are investing in the company directly so will pay no direct initial or ongoing charges. Leisure Brands Ltd (trading as The Cook & The Thief) will pay an introducer fee to Wealth Club of 6% as well as a performance fee on exit – please see the offer documents for more details on the fees. The Cook & The Thief and its founder, Andrew Grahame, have spent the past four years laying the foundations for the Company’s launch to market, investing over £1 million to develop its proprietary scooter-based stabilisation and food heating technology. With the patent for Company’s technology now published, The Cook & The Thief should be well positioned to launch its service into the high-growth online food delivery market. The higher end of this market may be more niche but is relatively untapped, and customers demand a broader range of higher-quality food to be delivered. At the same time, high-end restaurants are looking for ways to increase profitability and use spare capacity without jeopardising their brand. The Cook & The Thief is pre-revenue and so higher risk, however, it seems well placed to exploit this opportunity in what appears to be an under-served part of the market. The management has a track record of delivering returns to investors on previous ventures, however past performance is not a guarantee of future success. To be successful, The Cook & The Thief must demonstrate its concept by attracting high-end restaurants to its platform and, critically, by building brand awareness to drive significant growth in the number of new customers accessing the service and placing orders. There is an opportunity for experienced investors to “get in the on the ground floor” with The Cook & The Thief, which means significant risk but also the potential for attractive returns at the current valuation. However, success is not guaranteed and you should form your own view.